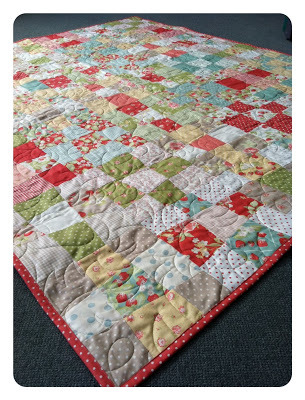 As mentioned before, I decided to treat myself with this one and have it professionally quilted! (I was getting tired of quilting stipples on everything!). It turned out absolutely gorgeous 🙂 It was quilted by Darlene Girton at GirtonQuilting.com (unfortunately her website is currently down). 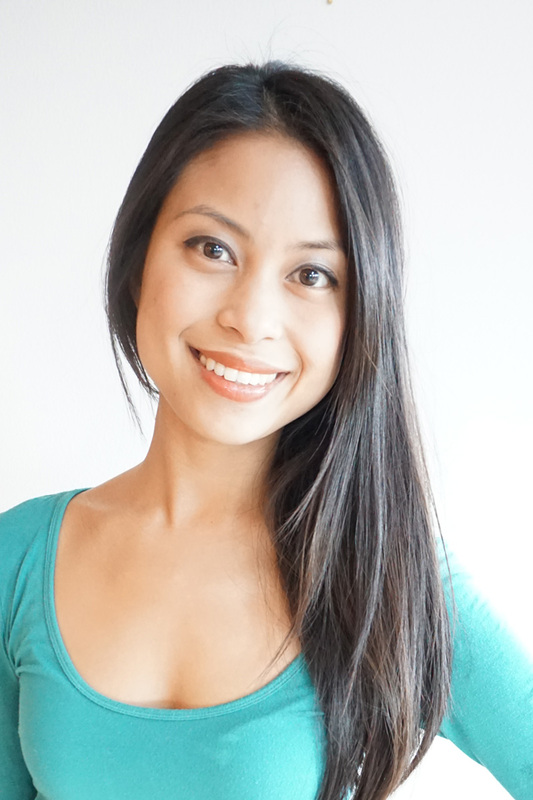 She’s from Maple Valley, Washington and I’m looking forward to working with her again! 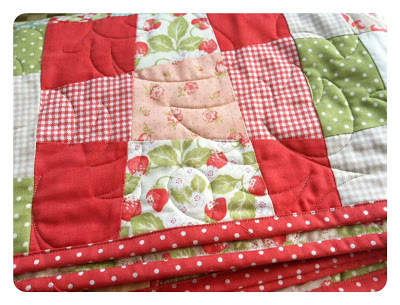 Darlene quilted strawberries all over the quilt – you can see them if you zoom into one of the photos. 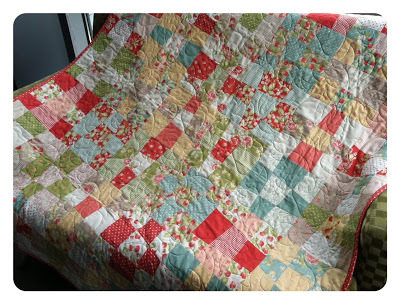 Betsy from Seattle suggested naming this quilt ‘Summer Picnic’ which couldn’t be more appropriate, especially looking at the photo above! It’s the perfect picnic quilt! I really love this pattern (obviously, I’ve made two quilts using it already!). 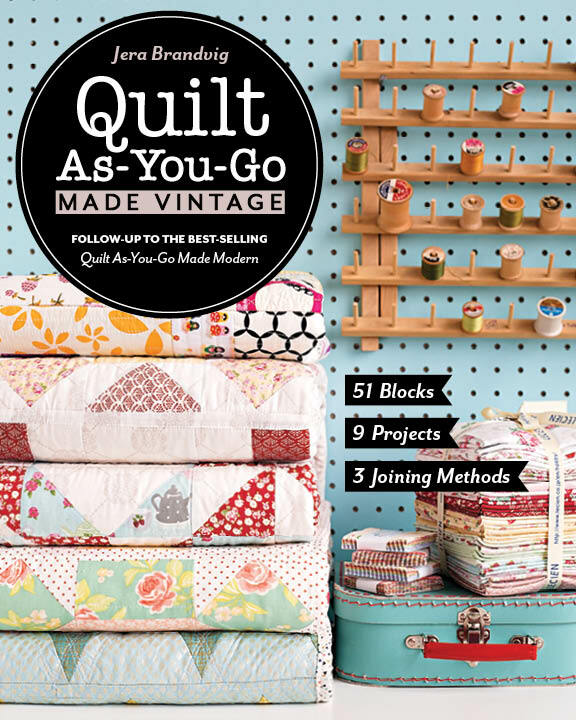 It’s a wonderful pattern because each block is unique to your own making…there are no precise measurements you need to cut for this quilt, simply stack, whack and sew! 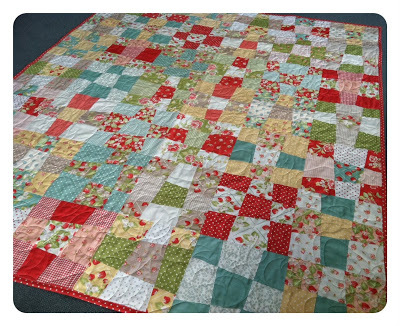 The tutorial for this quilt will be posting on Moda Bake Shop within the next few weeks. 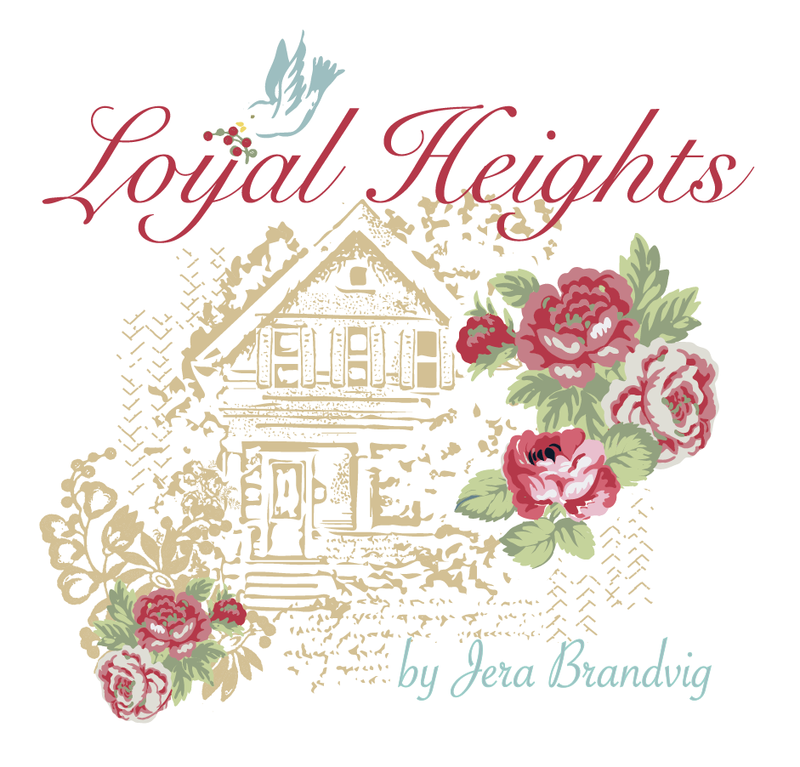 The same day it posts on MBS I’ll host a Layer Cake giveaway as this pattern only requires 1 Layer Cake to make the quilt top. So please stay tuned! Thanks for stopping by! Happy Quilting! Happy Friday! Quilt name ideas anyone? My First Time at the West Seattle Fabric Co.! Thanks Jera for the plug:) This quilt made me happy. 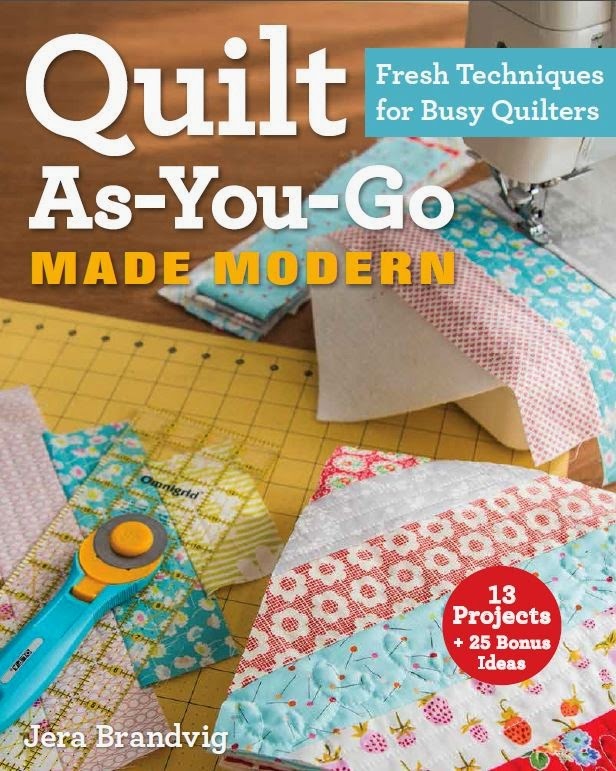 I can't always say that about the quilts I work on from week to week. It seems kind of odd to be quilting this happy spring quilt while the sheets of rain came down outside. 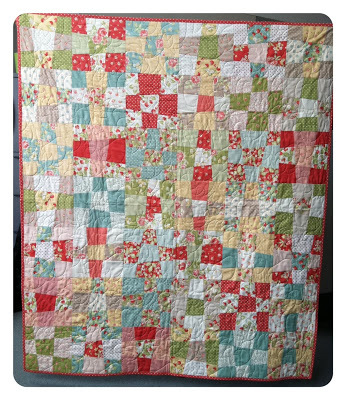 Thank you for brightening my week with your beautiful quilt! I love the colors of that fabric! definitely going to have to get some when it is released. Oh, this quilt makes me think of summer porches and warm breezes. Good job! estou fazendo uma manta quase igual a essa quando estiver pronta eu vou mostrar,pois da muito trabalho beijossss….. 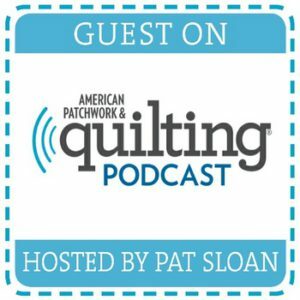 I am from Austria, Europe and quite new to the quilting world.